Advanced System Carefree will clean and maintain your PC, The result is a much faster computer for both working and gaming! As with all electronics, your computer also gets slower and worse over time. This is done for several reasons, but one of the biggest reasons is actually one that with the right tools can greatly eliminate. A computer loses both energy and space when useless or malicious files are just lying on their hard drives. These are of course a good idea to get rid of, and this is possible with a program that locates and deletes these files. This is precisely the purpose of Advanced SystemCare Free. 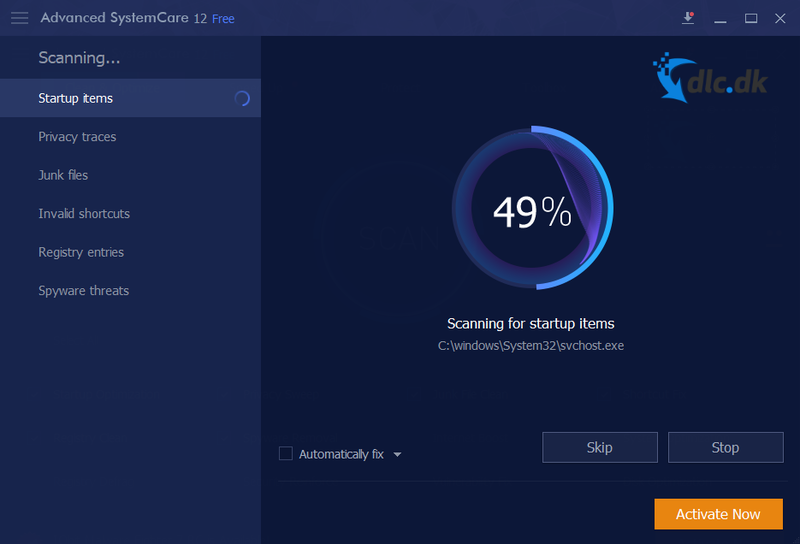 The program can scan your entire system for files that either damage your computer or do not need it. The program works tremendously fast, can take place in the background while you do other things, and then it is even free to download and install right here from the page. 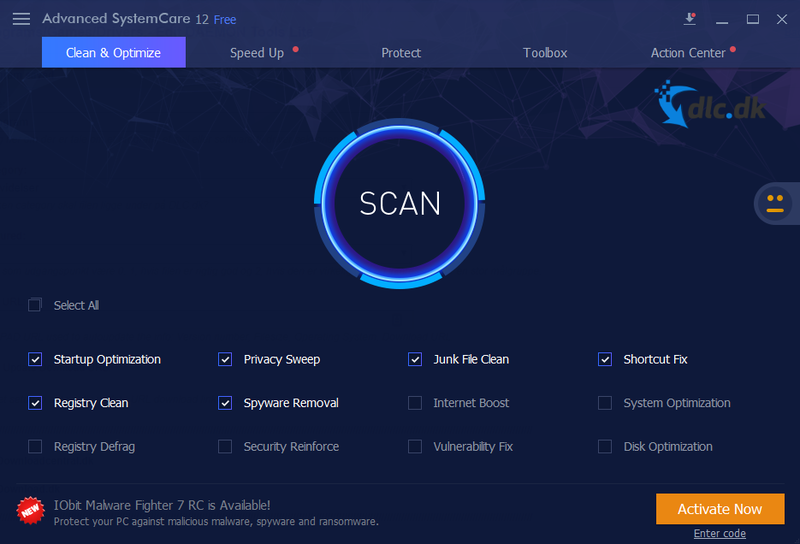 Once Advanced SystemCare Free has located all of the either malicious or useless files, it is up to you to decide whether the program should fix the issues and delete those files. Here you can of course also get a more complete and detailed overview, so that you know which files are involved. Another hugely useful feature of the program is the function they have chosen to call Turbo Boost. With this you can choose from the three modes Work Mode, Game Mode and Economy Mode. Depending on the mode you choose when you turn on Turbo Boost, the program will re-engineer your computer so that it is best prepared for this mode of activity. For example, in Game Mode, the program turns off the departments that are not needed, which optimizes your computer's performance to just play games. Of course, what is turned off is not major important features, but smaller systems that you do not even notice are turned off. The edition that you can download for free on this site is the Free Edition of Advanced SystemCare. However, the program is also available in a Pro edition, where you get a number of extra features. Among other things, it includes a new Cloud technology that keeps the database up to date while also having a number of technologies that would make the program work even faster and better than the free version. You can find Advanced SystemCare Pro by clicking here . Of course, Advanced SystemCare Free is not the only application on the market that can help you keep your computer free of malicious files. Among other things, you can take a look at GSA Cleandrive , which can clean your computer. This can both be done manually, while it can also do it automatically in the background without having to touch a finger. Another program that might be a bit the same is the Hard Drive Inspector . This keeps track of your hard drives not containing malicious files, while also telling you whether your hard drives are being overheated, so you can save them before they may burn together. Last but not least, you should also take a look at CCleaner , which is a great program to optimize your computer. Like many of the other programs, it locates useless and harmful files and deletes them, making your computer faster while also making more space available. 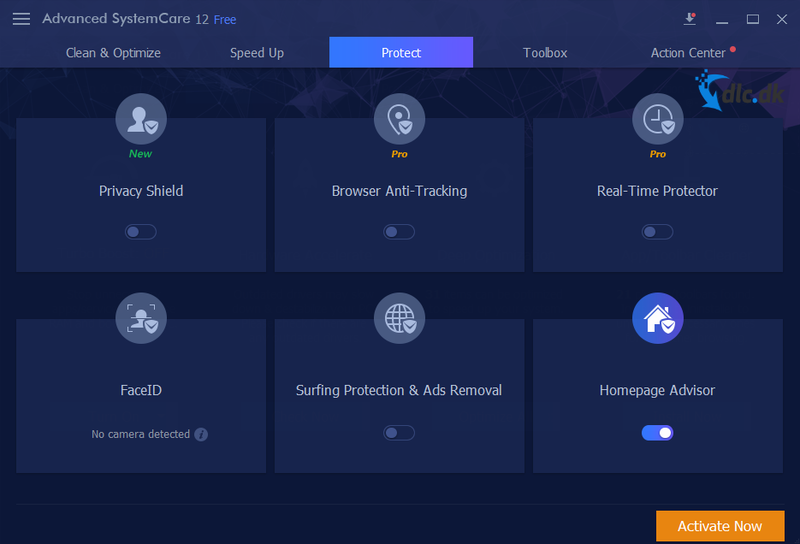 Advanced SystemCare Free is designed for use on computers running on Windows operating systems. It has not yet been developed for some other operating systems, and therefore you are, for example, either a Mac or Linux userAll you seek alternative programs. 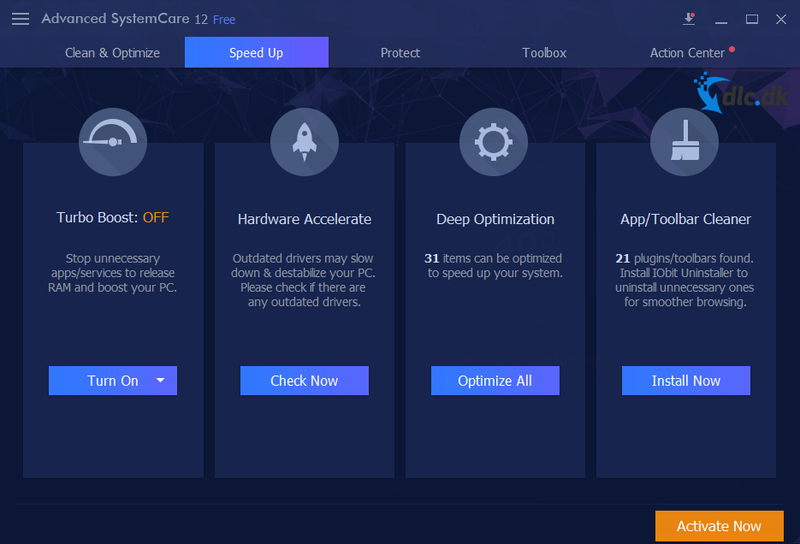 Advanced SystemCare Free is a great program for optimizing your computer. The program locates and removes malicious and useless files, adding extra space to your computer as it also gets faster. In addition, you will also find among other things the Turbo Boost function, which can be set to among other things Game Mode, where your computer adjusts to having to give you the optimal experience when playing games. The program is also available in a Pro edition that costs money while the Free Edition you can download here on the site is free. Find Advanced SystemCare Free, mark it and choose "Uninstall"
Should Advanced SystemCare Free has been damaged or corrupted and thereby difficult to remove we can recommend you finding help to uninstall it here.